A 2017 publication which will attract the attention of bibliophiles, art historians, literary scholars and many others, Books that changed history published by Dorling Kindersley features essays on 72 works, ranging from Ancient Egyptian books of the dead to Rachel Carson's Silent Spring. See a review of this title at Reviews & discussion of "Books that changed history"
Some original and some facsimile editions of many of these works feature in the James Hardiman Library's Special Collections. Over the next months we will put our copies of some of these titles on display in the Archives and Special Collections Reading Room for you to enjoy, together with the relevant commentary contained in Books that changed History. The initial display features the first volume of Carl Linneus' System Naturae, published in France in 1789. This copy is from the University's Old Library collection, features in the early library printed catalogues and bears the stamp of Queen's College, Galway. The second chosen title in this display is a modern complete and annotated edition of the Chronicle of the world 1793, commonly known as the Nuremberg Chronicle. This fine edition was published by Taschen in 2001. It is stored in our Special Collections and can be read on request in the Archives & Special Collections Reading Room on the ground floor of the Hardiman Research Building (Room HRB005). Kanopy is a new video streaming collection providing access to over 20,000 films from more than 850 filmmakers. 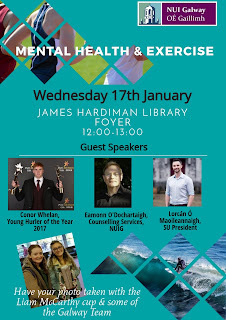 You are invited to attend this event in the Library on 17th January, 1200-1300. 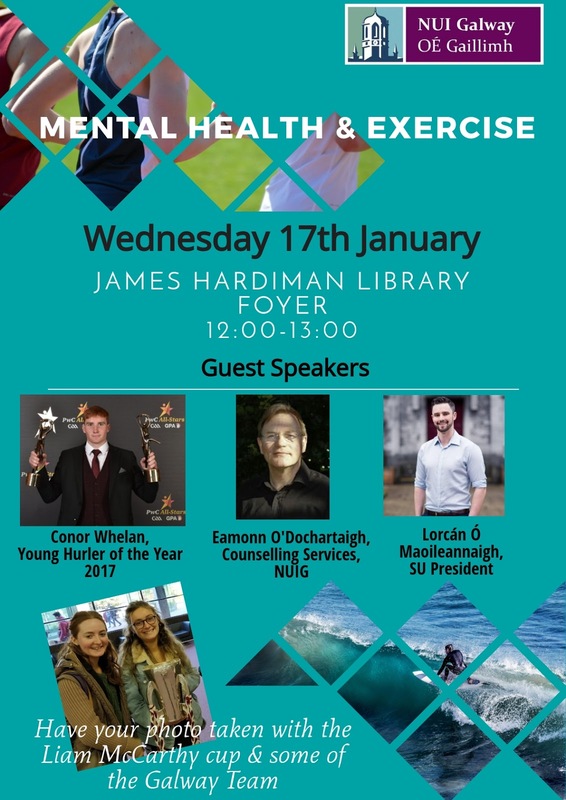 You are cordially invited to attend a seminar on the subject of the Academic Writing Centre and raising the standards of student writing at NUIG. 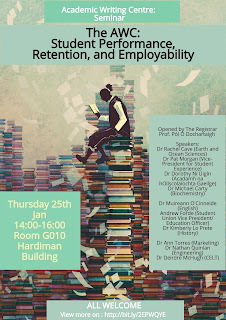 The seminar will address the connection between academic writing and student performance, their ability to complete their chosen course of study, and their future career paths. 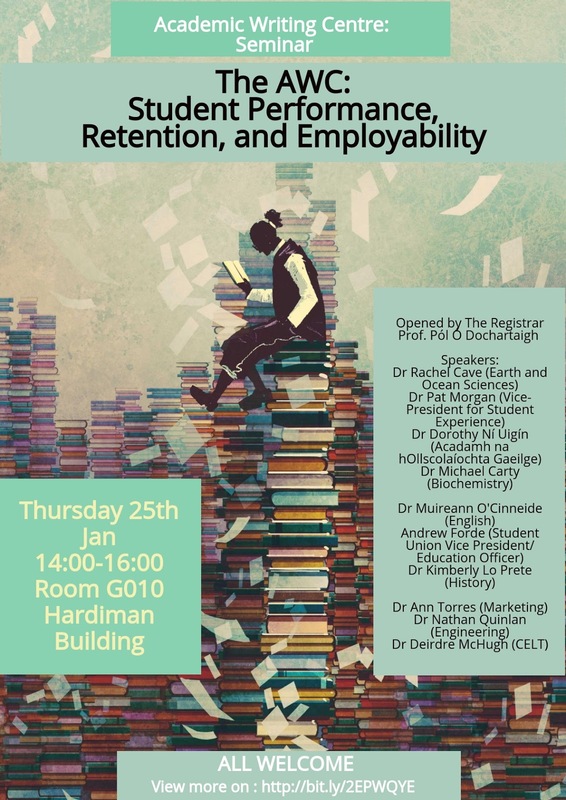 The Registrar, Prof. Pól Ó Dochartaigh, will open the seminar which will feature speakers from diverse disciplines, including Science, Law, and Marketing and will also include an open forum. 15: 55 – Concluding remarks.